Did you know that Subway was in the top three for highest revenue for fast food in 2016 AND was also in the top three for highest brand value in 2017? I didn’t know that until today. But, it’s not surprising since they are always thinking about ways to make their menu and brand grow and accommodate everyone. So, yes folks – they offer gluten-free bread and subs to accommodate your gluten-free needs. The gluten-free bread is manufactured in a gluten-free facility and packaged separately. Subway will place the bread on a separate paper and will use new gloves while making your sandwich. 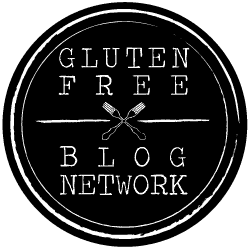 Check out the list of gluten-free subway options and tell me about your favorite sub. You can find gluten-free subs across their 43,000+ locations and in 112 countries. If you try a gluten free subway sandwich, let me know, and share your thoughts with us.